New York State Education Department has put together a large collection of online study tools for the HSE called the "Online Media Connection." 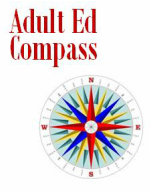 If you are looking for an adult education program in New York City, please use the Office of Human Capital Development Adult Education Program Locator. Look for the "Find a Class" box on the left side of the screen. If you are looking for a TASC test site in New York City please use New York State Education Department's Test Site Locator. Test dates are still being set so if you do not see 2014 dates please try back again in a few days. No TASC tests will be offered before January 14, 2014. See sample questions and get all the latest news about the TASC on CTB McGraw Hill's TASC website. Remember that this is a national website so some of the information may not be applicable to New York State. If you are a teacher who is looking for more information about Common Core and the content of the TASC below are some sites that have information that could be helpful for you.